SO YOU WANT TO LEARN TO SCUBA DIVE? There are hundreds of operators offering dive training in indonesia, and its a pretty big country. So, how do you make a choice? We have been around for many years, teaching more than 3,000 people to scuba dive. We have small class sizes with only 1 or 2 students. We have tropical-island locations that offers a relaxing and friendly environment, with world-class diving at your door-step. If you’ve always wanted to learn to dive, discover new adventures or simply see the wondrous world beneath the waves, this is where it starts. The theory consists of watching the PADI Open Water Diver video’s, knowledge reviews, quizzes and a final exam. The Confined Water pool sessions ease you into the fundamentals of diving, from your first breaths under water until planning and diving your own mini dive, preparing you adequately for your open water dives. The theory and pool days are followed by two days in open water, with 2 dives on each day. During the pool skills you will learn essential scuba skills, and at the beginning of the Open Water dives these skills are redone in the ocean, from your first breaths under water to planning your own dive. After the skills its just fun-diving on the dive site to practice your diving skills and enjoy the beauty of the dive site. To learn to dive and to enroll in the PADI Open Diver course or Junior Open Water Diver course, you must be 10 years or older. You will also need to be able to swim: there is a 200m swim test or 300m snorkel test that you will need to pass during the course. You will also need to complete a PADI medical statement, you can download this here. In the PADI Open Water Diver course all equipment is included in the cost. You will learn to use scuba gear, including a dive computer, and standard accessories. PADI’s Open Water Diver materials cover what you need to know about basic scuba diving skills, terminology and safety procedures. For each concept you’ll read a description and watch a video demonstration. Then you’ll jump in the pool (or pool-like environment) to practice these skills with your instructor. Later, as a certified diver, use the course materials as a reference guide for future diving adventures and to review what you learned. All learning materials you will need are included in the cost of the course and will remain your property. This 3-day option allows you to do the knowledge development portion on an online system before you get to us, then you just need another 3 days at our resort/dive center to complete the Confined Water Dives and Open Water Dives. You need to enroll at our classroom on PADI.com. After enrolling, PADI’s eLearning system presents you with interactive presentations that include videos, audio, graphics and reading. Short quizzes let you gauge your progress, and review and correct anything you might happen to miss. This lets you move through the program efficiently and at your own pace. The eLearning course will be available for one year from the time of course registration so you also have plenty of time to finish it! We are offering a special discount of 40% for any fun dives that you want to do after the course (max 2 days diving)! For staying & diving in Bali, we can offer a PADI 5 Star Dive Resort in Nusa Lembongan, Bali and a PADI 5 Star Dive Center in Amed, Bali. Both offer some of the best scuba diving in Indonesia, and Bali offers plenty of options for Local Tours for non-divers or de-fizzing time. Find out more about getting there and away. Amed, Bali offers easy access to the famous USAT Liberty ship wreck that starts at about 5mts so its perfect for teaching the PADI Open Water Course. Nusa Lembongan is an island 30mins by boat from Bali Mainland, and is home of the manta’s and mola-mola that made diving in Bali famous. We can just-about guarantee that you’ll see some manta rays on one of your course dives! Bunaken and Lembeh are located near Manado, North Sulawesi and we have PADI 5 Star Dive Resorts at both locations. Bunaken is an island about 30mins from Manado, and Lembeh is about 1-2hours drive from Manado. Find out more about getting there and away. The award winning reefs of Bunaken make ideal homes for hawksbill and green turtles, and we can just-about guarantee that you’ll see some on one of your course dives! The Lembeh Straits is known as the muck-diving capital of the world, and you will find some amazing critters like sea-horses, otcopus, frog-fish and many more! We have a PADI 5 Star Center in Sekotong, South Lombok. South Lombok is remote with white-sand beaches and offers every scuba diver an individual dive adventure from relaxed scuba diving in Sekotong, to exciting “adrenalin dives” with schooling eagle rays and hammerhead sharks in Belongas Bay. Find out more about getting there and away. The South Gili islands, South Lombok offer a breathtaking experience with colourful, relaxed reef diving where turtles visit often. We run PADI courses in all our locations in Bunaken & Lembeh (North Sulawesi), Nusa Lembongan & Sanur (Bali) plus Lombok. No other dive centre can offer you this fantastic opportunity to explore Indonesia with a single dive operator. You can choose whether you take the course in one location or make a combo of multiple resorts. You will meet more of our dedicated staff and will learn from more than one person, see more than one perspective and make more friends above and below the waves! With the exception of Mainland Bali, all of our locations are based on tropical-island dive resorts in Indonesia with world-class diving right on your doorstep – the world-famous reefs of Bunaken, the muck diving magic of Lembeh Straits, the mantas and mola molas of Bali, and the schooling hammerheads of South Lombok. Mainland Bali also has fantastic diving with trips to Tulamben, Padang Bai and Amed.  At Two Fish we aim to make you the best diver possible. For us, its not about the numbers, and its all about the quality of training and quality of divers that we are proud to introduce to the amazing underwater world and to make a part of a large worldwide family. We pride ourselves on attention to detail, and our flexibility to each person’s unique circumstances and learning process. Our instructors in all of our PADI 5* dive centres are extremely experienced in teaching diving courses and we are all happy to share our knowledge and experience with you. In return we expect you to come with a positive attitude and be willing to learn not just basic diving skills but also about the fragile and precious world we call home. We don’t like crowds so we limit our class sizes to a maximum of four. We also do not schedule courses but run them on demand, and this means that courses are frequently run with 1 or 2 students. This means that you will more attention from your instructor, and more chances to learn and practice diving skills. Great, fast, got me ready for in-water training! This was a wonderful experience, I would definitely recommend it to anyone looking to learn to scuba dive.